Learn more about doors, windows, garage doors and openers, awnings and siding from Toledo Door and Window - The Home of the Talking Door! Freshen Up Your Garage for the Spring and Summer – Your New Front Door! Did you know your home has a front door that is more than twice the size of your current one? Fact is, with the amount of time homeowners spend outdoors in the spring and summer time, your garage door has naturally become the new front door to your home. According to a Gallup study, the majority of Americans prefer to especially spend their summer evenings outdoors, sitting on their patio, deck or porch and barbecuing. DOING YARD WORK AND UPDATING LANDSCAPING! Yes, there is something about doing yard work and updating the landscaping around your home that takes away the weight and labor behind the word, “work.” You open up your garage, use the amazing tools inside your garage, from the lawn mower to garden gloves to the garden spade, and beyond! You use these tools carefully organized in your garage waiting for you to utilize to freshen up your lawn, your landscape and garden, too.And, while the work can be time consuming and at times not idealic under the hot sun, when the days are done, you know you can step back and admire the completed work and know it was all worth it. Hosting a garage sale may be the most easiest and obvious way you can turn your garage door into your front door. Your garage door literally welcomes your community at large into your home to browse through your soon-to-be-gone furniture, home décor, gadgets, tools, housewares, clothing and much more. Then comes the SUMMER! There’s nothing like the Fourth of July. What we all love most is every year is when the entire neighborhood opens up their garages, pulls out all the portable chairs and sits on the the driveway awaiting for the night’s showcase of the town’s firework show. When you realize the garage door is your new front entry door, you'll want to get in and out as quick and easy as you want to get in and out. Which we can make happen with the LiftMaster Mini Universal Remote Control! The mini universal remote will quickly offer you a new key to your home. It can slip into your pocket or clip to a purse or backpack. Plus! the LiftMaster Mini Universal Remote Control will work with most garage door openers. Pick up your Mini Universal Remote Control today at Toledo Door And Window at our showroom conveniently located at 5153 Secor Road, Toledo, Ohio. Learn more about all that Toledo Door and Window offers by visiting our website at www.ToledoDoor.com today! Get Welcomed Home With Even More Wi-Fi Garage Door Openers! In late 2015, LiftMaster changed the world by bring the first professionally installed Wi-Fi garage door opener to market. Now, a garage door opener is no longer the box that hangs in the middle of your garage, but instead could be used to know the comings and goings of your family and allow people in your garage, even if you were not there. There is also no longer a need to go back home because you could not remember if you closed your garage door. Instead, you can just pull out your smartphone and open the MyQ app to check the status of your door, no matter where you were in the world. You can also set up alerts, to know when your garage door opens and closes. All of these great benefits are made possible by MyQ, the FREE app (available in iOs or Android applications) to control your garage door with your smartphone. 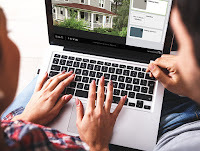 Now with LiftMaster, the garage door experts at Toledo Door And Window can give you Wi-Fi that is affordable and an easy way to get connected. With Wi-Fi openers, no additional accessories are needed to get connected to MyQ, so you have everything you need to begin to monitor and control your garage door with your smartphone. 8550W is loaded with all the latest features including battery backup, which will allow you to get in the garage, even when the power is out. With the DC motor and belt drive system it has everything you need built-in to offer a quiet solution, especially when you have a room above or near your garage. 8355W is the perfect fit for any garage because it is belt drive opener allows you to strengthen your security by offering a safe and efficient solution. If you want the option to possibly add a battery later, make sure to check out 8360W. This opener will light the way for you in a dark garage and it is battery backup capable, so a battery is sold separately. Two additional models are available for your specialty applications. 8587W offers powerful lifting power for your heavy door and 8557W was designed for durability to keep your home secure even through the strongest storms. For more information on how you can get a Wi-Fi Opener installed today, call the garage door experts at Toledo Door And Window at 419-475-3667 or check out our website at www.ToledoDoor.com! Entry Doors The Professional Way! 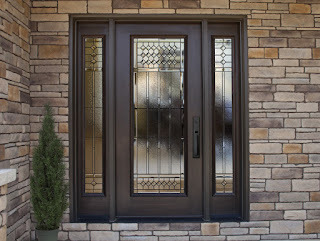 Toledo Door And Window and ProVia is committed to homes having the best entry doors for your home! ProVia is fully committed to manufacturing doors The Professional Way; entry doors, storm doors, and patio doors that are individually customized for homes to the highest standards of durability, security and energy efficiency. Relationships begin the moment someone walks through your front door of your home. Not only do you want to make your guests feel at home from the moment they arrive through your entry door, but you want your family to have the best home products available for beauty, durability, security and energy efficiency. 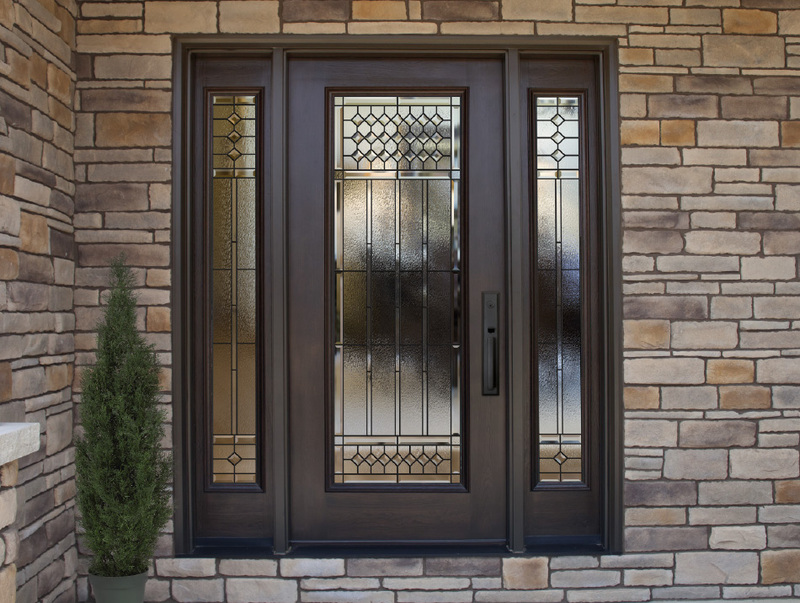 ProVia's doors are built to be welcoming and beautiful while truly protecting those who live beyond its entrance. 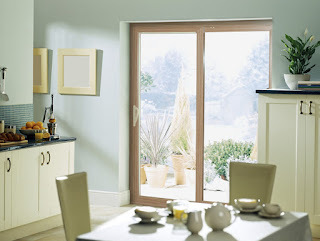 ProVia doors are built to be energy efficient, beautiful and secure. Our exterior doors keep you cozy in the winter and cool in the summer. Every steel or fiberglass entry door is foam-filled with thermally efficient material and contains the best weather seals on the market. Our ComforTech™ glazing packages add outstanding energy efficiency to doors with glass (available in clear, decorative glass and Inspirations Art Glass). ProVia's replacement entry, storm and patio doors are continually selected as a homeowner favorite because ProVia is fully committed to creating home improvement products The Professional Way. That means we don’t cut corners or sidestep even the smallest manufacturing details. Learn more about ProVia by visiting the Toledo Door And Window showroom at 5153 Secor Road, in Toledo, Ohio, or check out our website at www.ToledoDoor.com! Get Ready to Design Your Home Your Way! If you're like most homeowners, the thought of sorting through colors and style options and choosing a new entry door or replacement windows can be overwhelming. Now with ProVia you can design your home yourself AND with limitless options too! Start Now with ProVia's Online Visualizer and Take the Guess-Work Away! ProVia provides you with a way to look at typical model homes or your own home with new "skin", we've equipped you with tools to take away the guess-work and anxiety. ProVia product options offer you endless possibilities to create the home of your dreams. Simply Click Here to Start Visualizing Your Dream! Once you have your design created you can come to Toledo Door And Window to buy and receive expert care in finalizing your design project. Simply call us at 419-475-3667! Considering A New Garage Door? See what makes Amarr garage door windows one of the highest quality in the industry. Learn more about Amarr Garage Door Windows by watching this featured video from Amarr! Then call Toledo Door And Window at 419-475-3667 for more information or check out our website at www.ToledoDoor.com! When it comes to winterizing at Toledo Door And Window, we often talk about replacing, repairing, inspecting, and upgrading, but there are also other measures and precautions you can take to keep the cold air out and the warm air in your home. Keep in mind, often times the garage is a forgotten space that has a BIG impact on the temperature of the home. Here are a few tips to protect your garage and home from the temperature effects of winter. 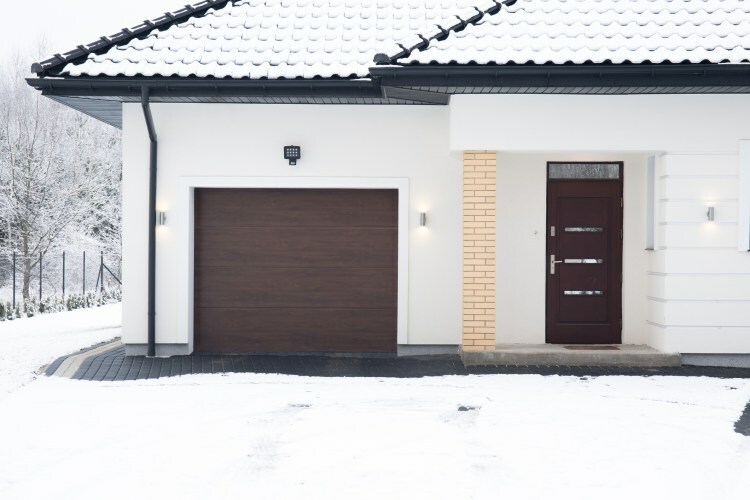 Garages are not constructed to hold in heat, which may cause issues for some homes during the winter. In some instances, garage temperatures may even compare to the chilling outside temperatures, which isn’t ideal for you or the things stored in your garage. If you are not ready to replace your garage door or didn't purchase an insulated garage door - now is the time to insulate your garage door and walls. Insulation is one way to retain a bit of extra heat during the blistering cold months. COVER ALL SWITCHES AND OUTLETS! Aside from baby-proofing your home, many homeowners do not think much about covering their switches and outlets. This is why we suggest to take a few minutes this season to winter-proof your garage by covering any switches and outlets on an outside wall especially. This will help to keep some of the brisk air out! BUNDLE UP YOUR WATER HEATER! Is your water heater housed in your garage (or perhaps in an unfinished basement in your home)? This one is really a great tip for you! Your water heater works very hard to keep your home’s water warm, but imagine how much harder it must work if the water heater is constantly cold on the outside. Invest in a water heater tank cover or blanket this season to alleviate the extra-added stress on your water heater, and more importantly YOUR wallet. Once the flurries start this winter, you’ll be bringing all sorts of snow, salt and sludge into your garage. Before the winter comes upon you and this begins to happen, think about waterproofing your floor for protection. You’ll be glad you did come next spring! Although this may be a bit of an extra investment or extreme for some, others may find that installing a garage heater is an investment they’re willing to make for the long term. Especially if you work in your garage during the winter months? Or if you store temperature-sensitive equipment or materials in your space? If you answered yes to either of these installing a heater may be the best investment for you! Yes! Getting organized is the best way to winterize your garage! Start by putting away your spring and summer gear, tools and more! Gather and bring your cold weather supplies, tools and more to the most handy place. Especially your shovel or snow blower! Thinking about and considering these items ahead of time will alleviate a great deal of your stress later when winter comes upon you and your home! Need more advice on where to start when it comes to your garage or home? We’ve got you covered at Toledo Door And Window! 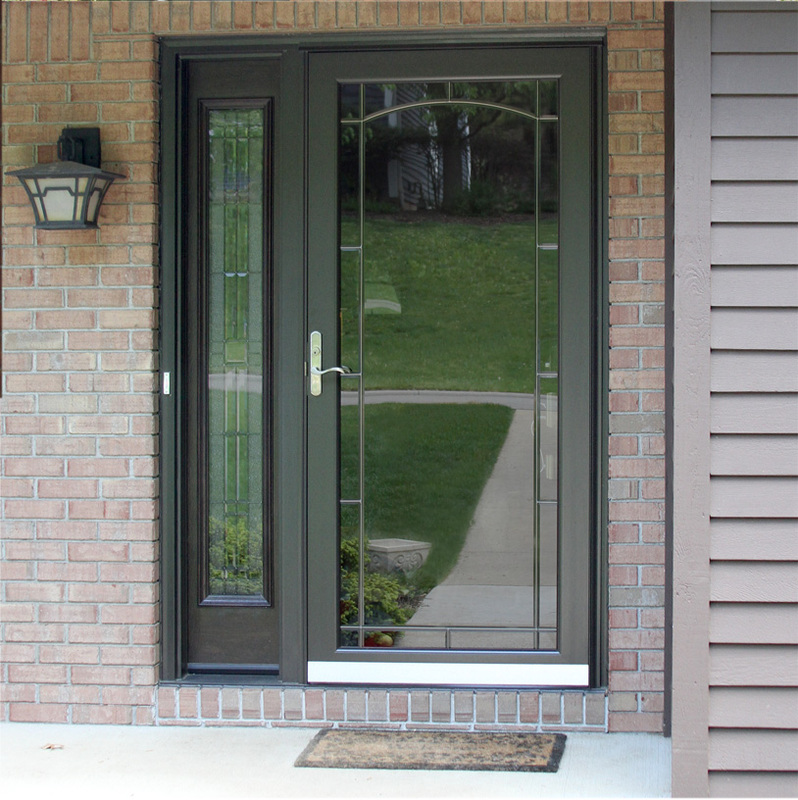 Call us at 419-475-3667 or check out our website at www.ToledoDoor.com today! 5 Exciting Ways to Upgrade Your Garage! Fall comes too early! And, it seems every fall it's the same problem! You walk into your garage, look around and think to yourself, “How did I get so much stuff in here?” So here are a few suggestions to take back your garage and use it for more than clutter and simple storage! 1. Utilize bare walls by creating a large pegboard wall to hang smaller hand tools, screws, nails and more. 2. 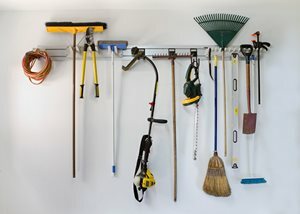 Install hooks on garage walls to hang larger home tools like a weed eater, brooms, blower or a shovel. 3. Create a unique wall storage system with storage bins, shelves, drawers and more! This can allow for moving items of clutter to be more organized and off that prized floor space. 4. Once you’ve cleared enough space for your car, don’t let it get ruined and damaged! We suggest putting in a parking assist. While you could use the old hanging tennis ball, there is a much better way. The LiftMaster Laser Parking Assist Accessory which can fast help you to park perfectly every time. 5. 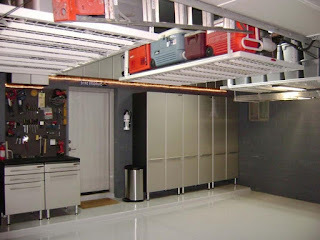 And, not to be overlooked...consider installing overhead storage in your garage. It is often overlooked, but if you have any type of garage ceiling, installing overhead storage can really help clear out the clutter, but offer a truly optimized storage solution! From Garage Doors and Openers, Entry Doors and Storm Doors and Patio Doors to Replacement Windows, Siding, Retractable Awnings, and More, you can be assured you are getting the best residential or commercial door or window product at the best price available. Call Toledo Door And Window today at 419-475-3667 or check out our website at www.ToledoDoor.com! Toledo Door and Window is conveniently located at 5153 Secor Road in Toledo, Ohio. 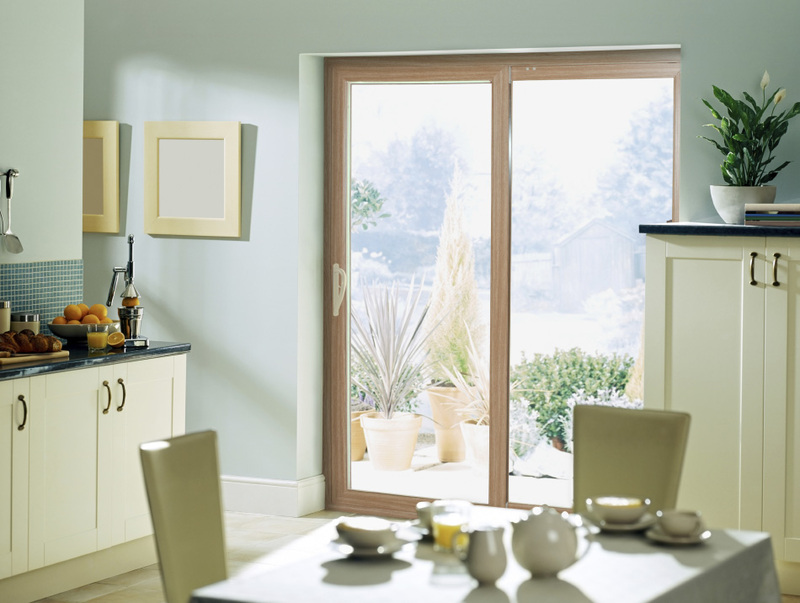 Toledo Door and Window offers a wide range of quality, brand name products for your home. Serving northwest Ohio and southeast Michigan, our expert installation and outstanding service are unmatched. Call or visit our showroom for a free estimate. 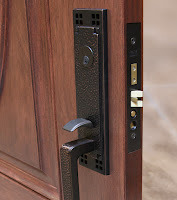 Visit us at www.toledodoor.com.